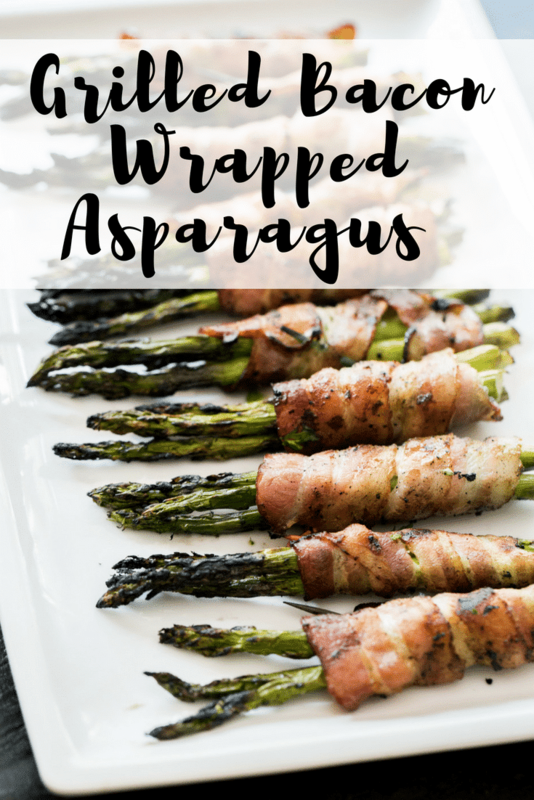 One of the most popular keto-friendly side dishes around is the Grilled Bacon Wrapped Asparagus. 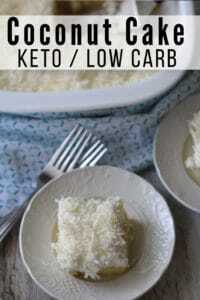 This is so delicious and super easy to make. 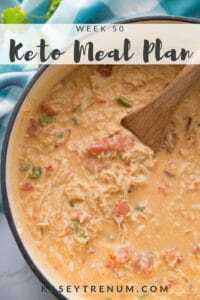 It’s a great option to throw on the grill next to a steak or some chicken! You’ll even find the kids reaching for this vegetable dish! We love to grill out especially when the weather is nice. 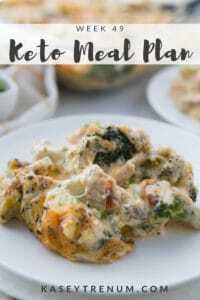 Since we eat at home a lot anytime we can prepare a meal without making a huge mess in the kitchen I am on board. 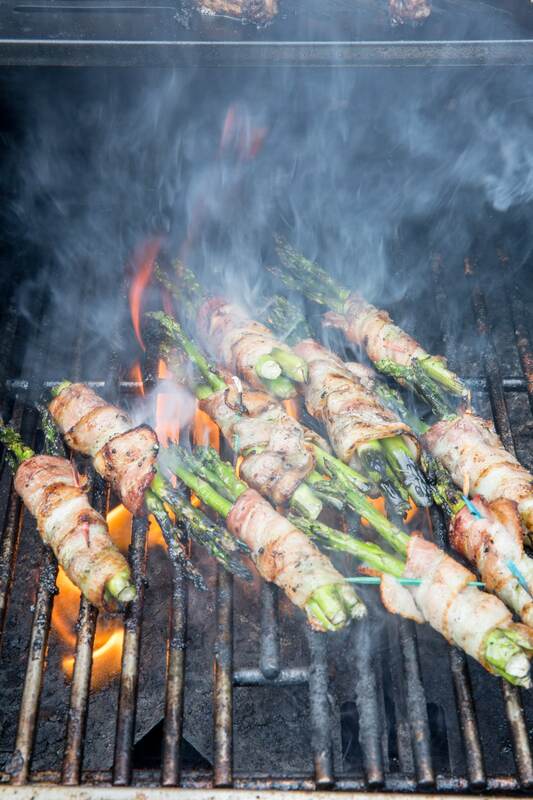 It is so easy to throw burgers or steaks on the grill along with grilled bacon wrapped asparagus. 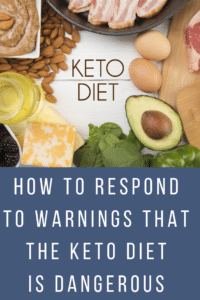 Make a nice garden salad for a complete meal that is keto and low carb friendly. 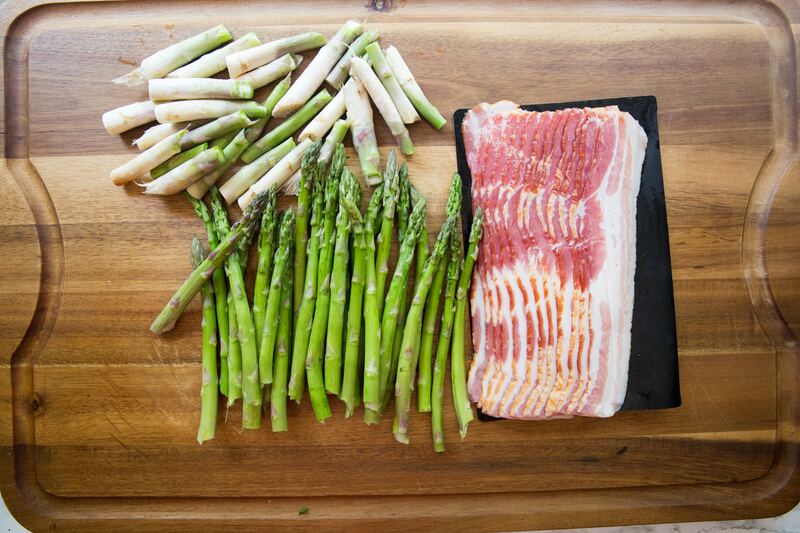 Although grilled asparagus is delicious by itself, wrapping it in bacon first completely changes the playing field. If you haven’t tried it you should! If you haven’t worked with asparagus before, the biggest thing to remember is to remove the lower portion of the stalk. Asparagus is a great vegetable, but the larger lower portion of the stalk is woody and tough. You want to eat just the upper 2/3 of the vegetable. Usually, this snaps off easily, but if not, you can easily cut them off. I usually trim the lower 1 to 1 1/2 inches of the asparagus stalk. 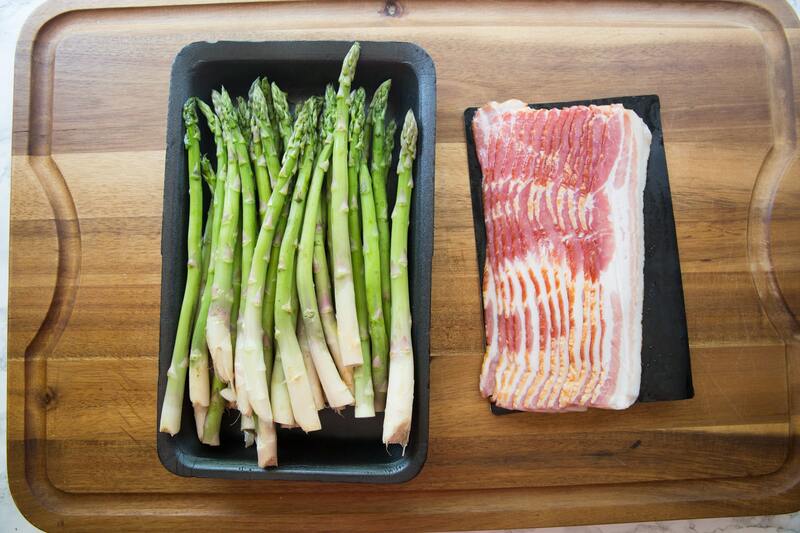 Wrapping the asparagus with bacon is the fun part. 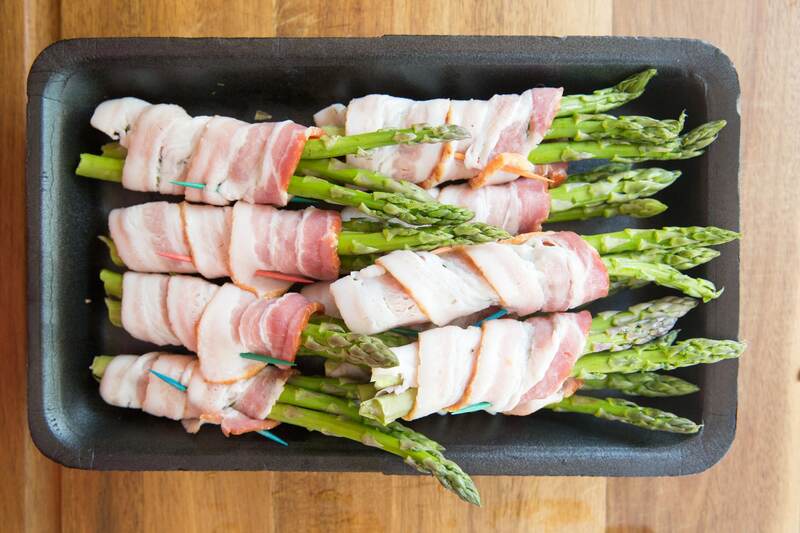 Usually, use 3-4 stalks wrapped in one slice of bacon. I use a toothpick to secure them. 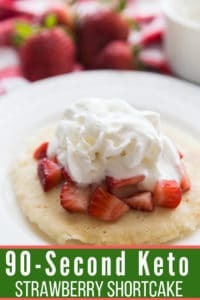 If your kids like helping in the kitchen, this is an ideal way to get them involved. I have recently started using grill mats for my veggies. They considerably cut down on fires, especially when using bacon like in this recipe. If you don’t use grill mats, make sure to watch them cook carefully to avoid the asparagus catching on fire. Wash asparagus and pat dry. Trim the asparagus about 1 -1.5 inches from the end. Wrap 3 stalks 3/4 of the way with one slice of bacon then secure with a toothpick. Place on grill and cook about 3 to 5 min on each side. ( I have started using a grill mat for my veggies and it has greatly reduced the number of fires we deal with while cooking. Nutritional Information will vary depending on the size of asparagus used. 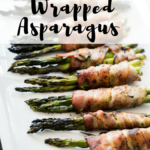 If you loved this grilled bacon wrapped asparagus as much as we do, then you will love these other keto recipes! Finding delicious meals that your whole family love is easier than ever before. This sounds so good, but I don’t have a grill. Would they turn out if I baked them in the oven? I’m a kitchen newbie (learning more everyday, thanks to you!) so if so, would you mind telling me how long and at what temperature? I’m sure it would work, but I haven’t made them in the oven so I can’t say a temperature and baking time from personal experience.